New Tech: Banner's LTF, Now With IO-Link: Offering Robust Two-Way Communication, Reliable Detection, and Exceptional Accuracy! Banner's LTF, Now With IO-Link: Offering Robust Two-Way Communication, Reliable Detection, and Exceptional Accuracy! IO-Link is a point-to-point serial communication protocol used to communicate with sensors and devices that support IO-Link and are connected to a master device. CLICK HERE for more information on IO-Link and its key features. Banner's long-range time-of-flight laser measurement sensor, the LTF, has now added IO-Link to its list of many benefits. The L-GAGE LTF now offers models with two independently configurable discrete outputs and the IO-Link industrial protocol. These new models now allow for robust two-way communication between the sensor and master device. Regardless of target color, material, or reflectivity, Banner's LTF series provides exceptional accuracy over long distances and reliable detection. 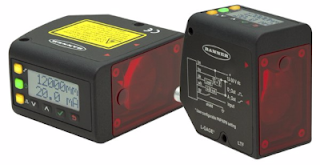 CLICK HERE to learn more about Banner's LTF long-range accuracy sensor.